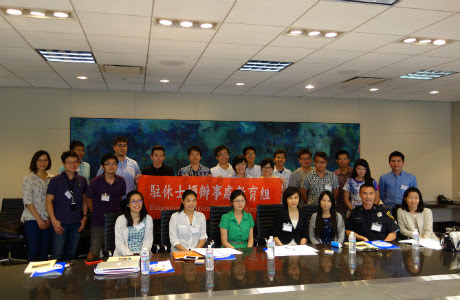 A group of 10 students with their teacher from the School of Nursing, Kaohsiung Medical University in Taiwan visited Houston on June 25 for a four-week study program at the School of Nursing, University of Texas Health Science Center at Houston. 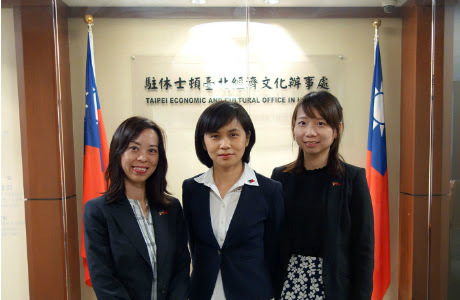 Director Sophie Chou of Education Division from Taipei Economic and Cultural Office hosted a luncheon on July 11 to welcome these students. 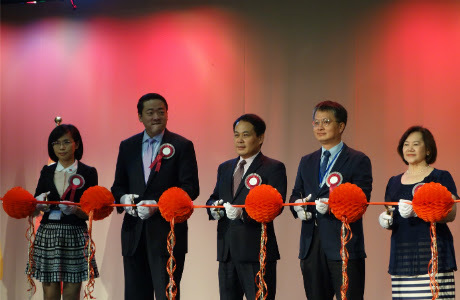 Dr. Yu, Teng-Yuan and Dr. Hong, Yuh-Fong, both the professors of the University of Texas Health Science Center at Houston attended this luncheon as well. 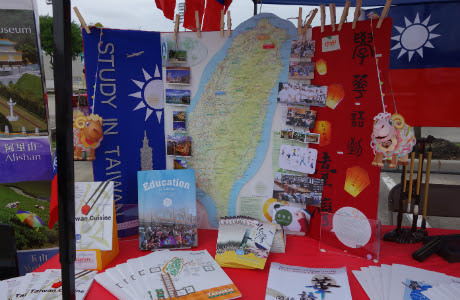 This four-week study program is funded by the Ministry of Education in Taiwan and takes place once a year with University of Texas Health Science Center at Houston. In addition to taking courses in the classroom, the field-related trips and the direct observation of clinical practice are arranged by the University of Texas Health Science Center at Houston as well. Students will visit several top medical centers and hospitals in Houston, such as M.D Anderson cancer center, Memorial Herman Hospital, Texas Children’s Hospital, The Methodist Hospital, etc. in this 4 week period, and get the chance to observe the clinical practice directly and to know the operation of the medical systems in the United States better. The students from the Kaohsiung Medical University are all excited about the classes and visits. 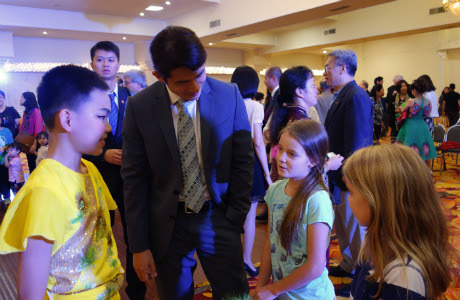 During the luncheon, Director Chou encouraged the students to embrace this opportunity to explore the diverse culture of the United States, broaden their horizons, and being a part of promoting the academic and cultural exchange between Taiwan and the United States in the future. The Fulbright U.S. Scholar Program offers nearly 600 awards in teaching, research, and combination teaching/research awards in over 125 countries for the 2015-2016 academic year. Opportunities are available for college and university faculty and administrators as well as for professionals, artists, journalists, scientists, lawyers, independent scholars, and many others. Interested faculty and professionals are encouraged to learn more about core Fulbright U.S. Scholar opportunities by visiting the online Catalog of Awards. The application deadline for most awards is August 1, 2014. U.S. citizenship is required. For other eligibility requirements and detailed award descriptions, please visit the program website. In order to meet the changing needs of academia and develop new options to better accommodate the interests and commitments of today’s scholars, we have introduced several innovations to the Fulbright U.S. Core Program, including: Flex Awards, Postdoctoral/Early Career Awards, and Salary Supplements. The Core Fulbright U.S. Scholar Program offers teaching and/or research awards in 46 disciplines, in addition to many All Discipline awards that welcome teaching and/or research proposals in any area of study, including interdisciplinary projects. To view the full range of awards by discipline, visit the Catalog of Awards. After a 10-year hiatus, the U.S. Scholar Fulbright program has reopened in Belize, the Bahamas, and Guyana. The Bahamas has a strong academic community with a healthy appetite for new and cutting-edge research. Applicants interested in a teaching or teaching/research grant to Belize will find themselves in high demand for their expertise in a country that abounds with natural wonders. Guyana is eager to benefit from curriculum development, knowledge exchange and research collaboration. · Fulbright-Terra Foundation Award in the History of American Art. The Fulbright- Terra Foundation award provides U.S. Scholars the opportunity to teach and guest lecture on American art history prior to 1980 at the undergraduate or graduate level in China and select European Union (E.U.) countries. Fulbright-Terra Foundation Scholars to the E.U. will also have the opportunity to conduct research while on their grant. Proposed coursework and methodology should be designed to increase awareness about American art to the next generation of art history teachers and scholars and to inspire university administrators, faculty and students to build their institutional capacity for curriculum and research mentoring on American art history. · Fulbright-Coach Award in Fashion and Design. The Fulbright-Coach Award is funded in cooperation with the world-renowned design house Coach. The selected scholar would spend a semester working with Master’s students in the Communication in Fashion and Beauty program at CEU San Pablo University in Madrid, Spain. Explore the Fulbright Scholar Program in greater depth by reading recent blog posts, viewing short video features, or participating in program webinars.